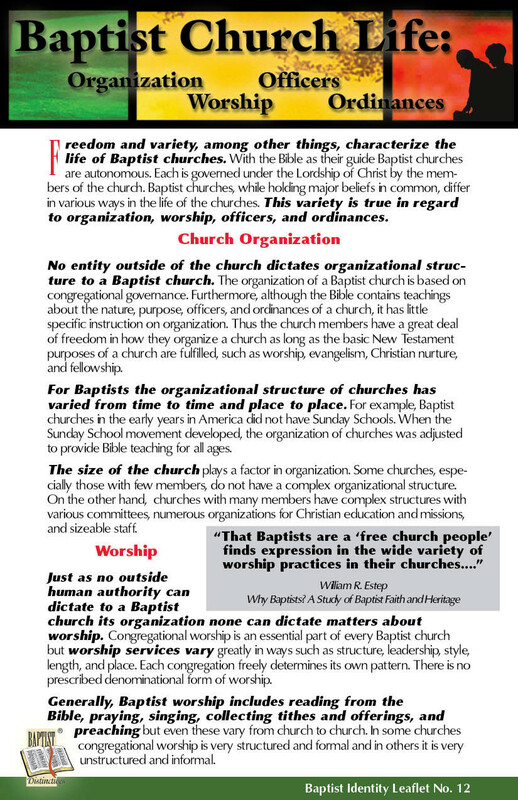 Read for a summary of Baptist history, beliefs, and practices. Utilize as a supplement to a major study of Baptist history and/or beliefs. Use in conjunction with the Personal Study Guides book for an in-depth study of Baptist beliefs. 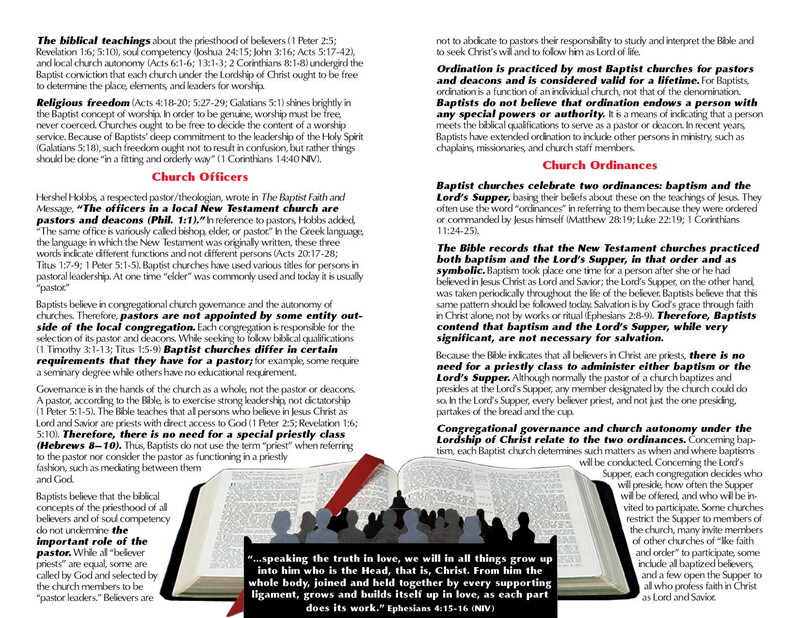 Utilize the Index in studying a particular Baptist doctrine to find information on the doctrine. 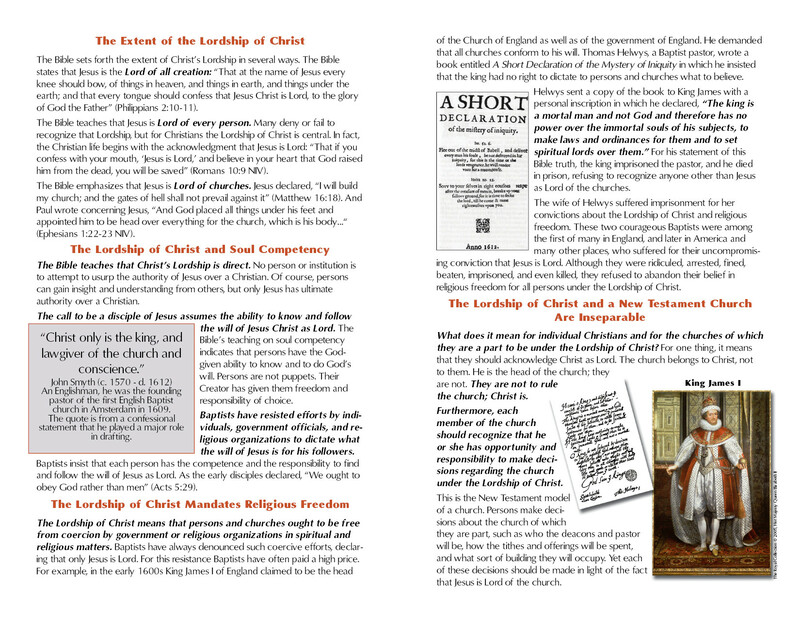 Provide a copy for your church library. Display it in your home as a “coffee table” book. 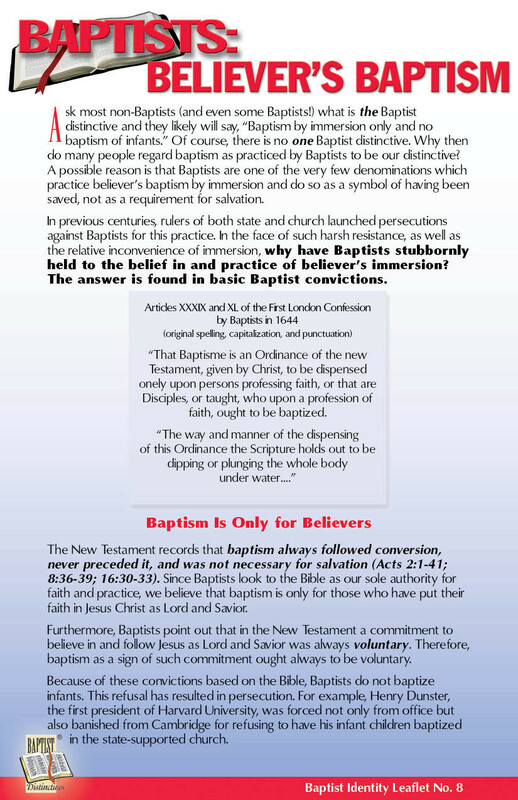 Give copies of the leaflets to persons interested in knowing about Baptist beliefs and practices. Use the leaflets along with the Personal Study Guides book as a resource for scripture memory and personal devotional time. 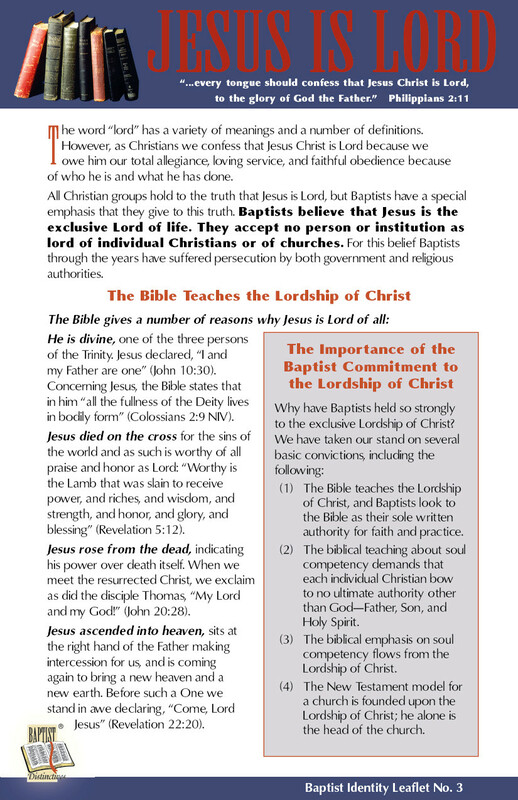 Provide the Baptist Identity Leaflets to members of your Sunday School class. 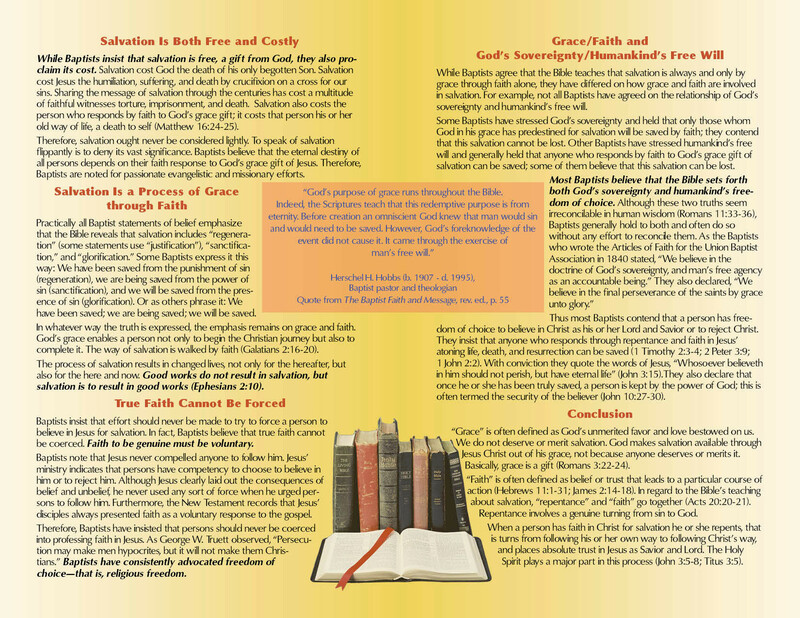 Make the leaflets and Personal Study Guides book a resource for family worship times. 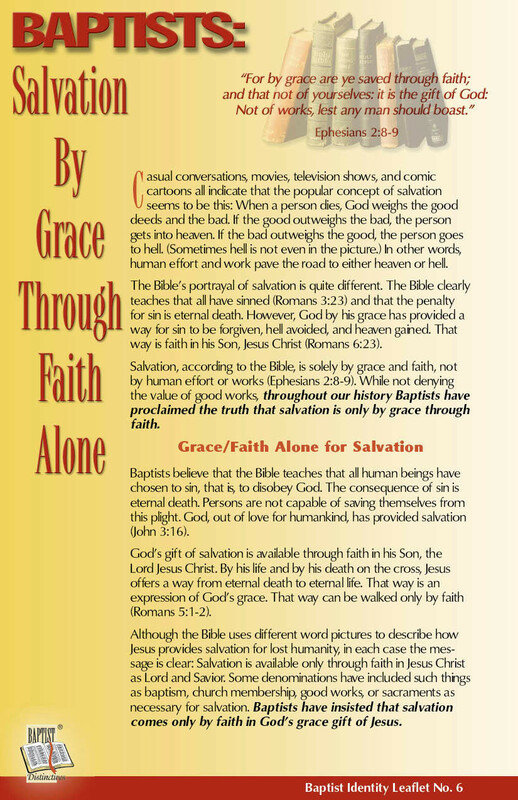 Distribute copies of the set that includes the leaflets and the three books in the Series to members of your family, such as brothers and sisters, children away from home, grandchildren, nephews, nieces, and others. Give a set to your pastor. 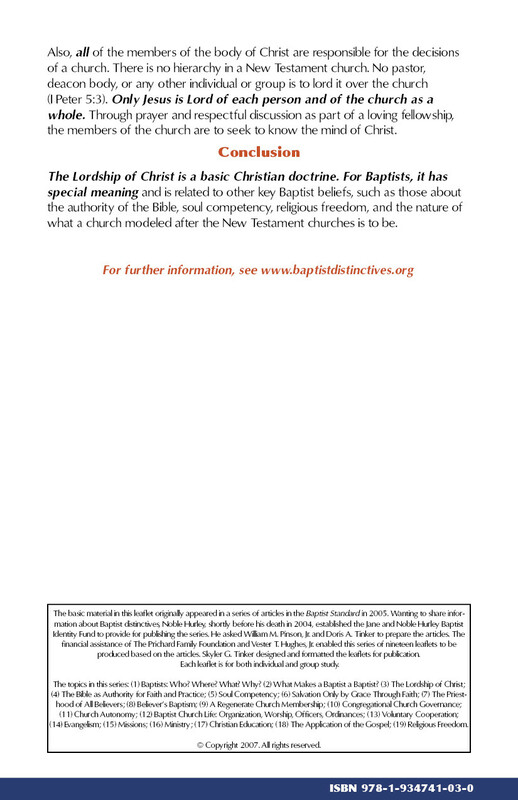 Suggest to your pastor that a study be done on Baptist beliefs and practices using the Baptist Identity Series as a resource. Present the Series as a gift to persons on special occasions such as their baptism, ordination, or receipt of an award or recognition. 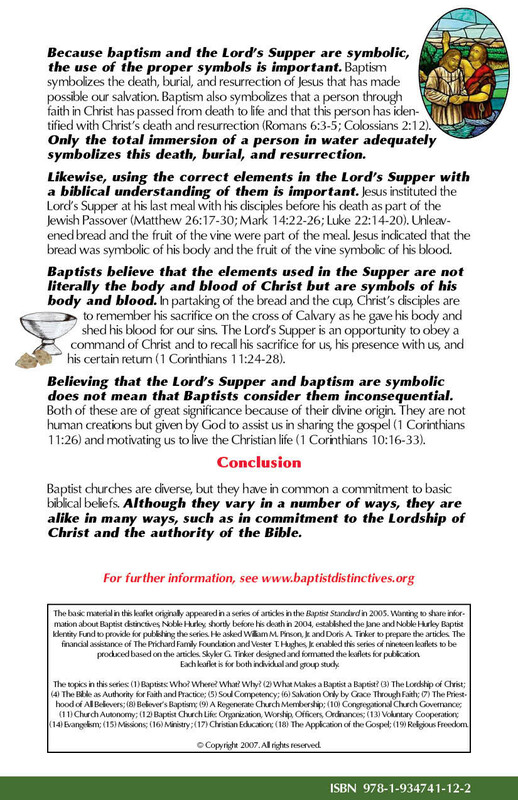 Consult the website www.baptistdistinctives.org for additional information. 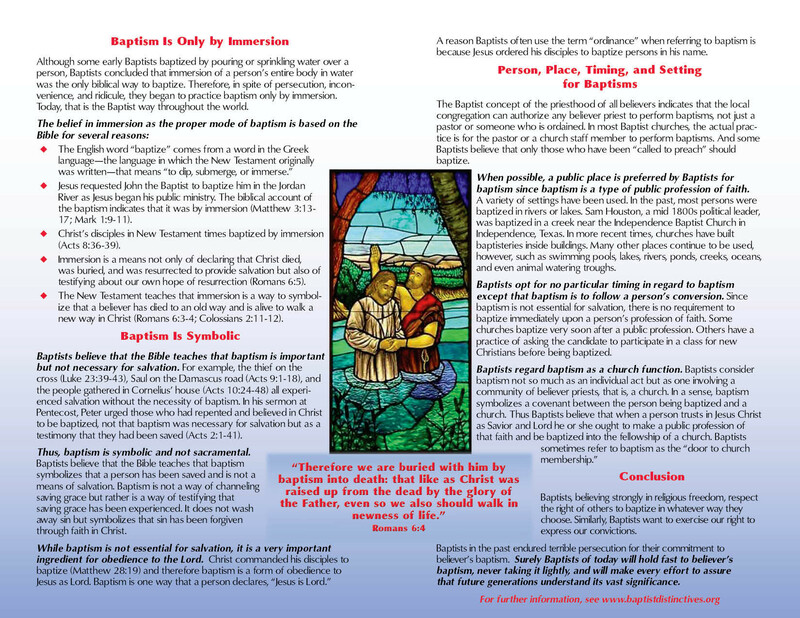 Download copies of articles on the website to supplement the material in the Baptist Identity Series.